Desert Willow is a good option for a player looking to squeeze in a round of golf in less than four hours while visiting Las Vegas. This executive size (Par-60) golf course was designed by Greg Nash and Billy Casper and provides guests with a quick enjoyable round of golf. 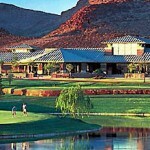 As its name suggests Desert Willow is home to numerous majestic willow trees. The course also features bent grass greens and numerous water features. 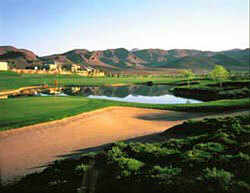 Desert Willow also features a driving range and a spacious putting green for all players looking to tune up their games. 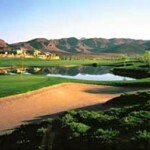 Desert Willow is also a great option for someone just taking up and learning the game of golf! 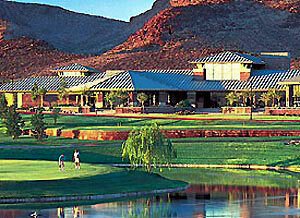 Online booking for Desert Willow is not available. 800-641-6404 from 7:00 AM to 7:00 PM PST.